We all seek satisfaction with things we do, don’t we? A career or life in general that is full of wonders and always-growing excitement. Well, I had a chance to meet a Bangladeshi designer, who seems to be not only extremely happy with the work she does but also helps others to reach for their dreams. Meet Bibi Russell! Being an international super model in ‘70s she worked with stars like Giorgio Armani, Kenzo and Karl Lagerfeld. Bibi always felt proud to be from Bangladesh and having come back to the country in 1994 the designer opened a fashion house Bibi production. In 1999 nominated by UNESCO as a Designer For Development she has worked to help poor craftsmen, education and women’s rights. But while talking to her all the titles and awards she has been given seems to disappear and the only thing I know is that in front of me is a passionate, life-loving and grateful woman with big dreams and hopes! It is so easy to sink in her joy and passion that wraps you up and makes see a bigger picture! I know you worked in Europe for many years and had an amazing modelling career. Then you came back to Bangladesh and started your own company. Could you tell us about the time when you lived in foreign countries and what made you go back to Bangladesh? How did it all started? It all started in my childhood. I was born and grew up in Bangladesh and my family and village I was living in was full of musicians, artists and politicians but they were all poor. I could see the richness of Bangladesh, although at that time it was part of Pakistan. So for me, it was always a big issue, because I saw talented but poor people and I knew they could come out with dignity. And you know, Bangladesh had such a history, we were rich and known for our textile, folk culture and art, so when I went abroad to study I knew that in the future I want to do something for my people. I went to Europe, studied and trained mentally and physically. I knew that finally I was prepared to come back and help people, who helped me. The work I’m doing now – it is everything I ever wanted to do since my childhood. I want to show the World that there is beauty in poverty and we should show that artists even being poor can come out of it and with work they can be noticed. In one interview you mentioned that you want foreigners to buy things that were made in Bangladesh for quality but not out of pity. Yes, because I don’t believe in charity. I grew up in Europe and I know how it is. People buy things from the third world countries and they feel sad. When you buy for charity, you buy it one time and you forget about it. 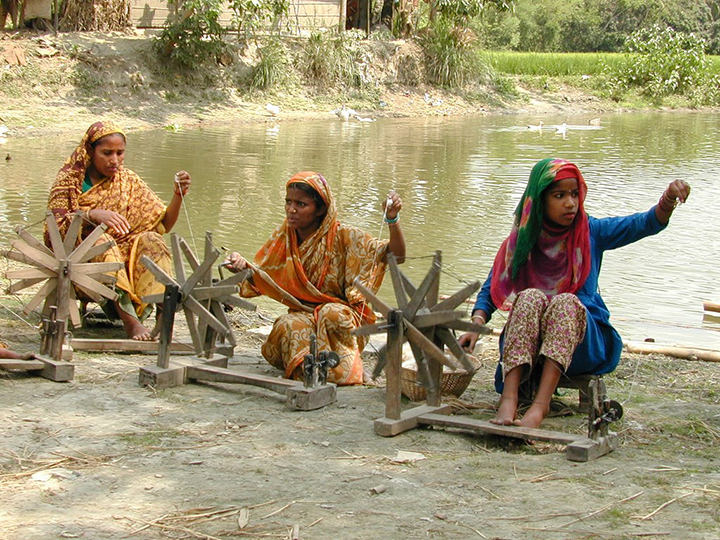 But I want Bangladesh to be known for its strength in arts and crafts. People need sustainable income, they need to understand the demand in today’s market and so they could compete as equals. When did you realise that you want to help your country to carry on its long-lasted traditions? It was when I went to Europe. I travelled, studied fashion and was doing modelling and everyone I met was always just a little bit surprised that I’m from Bangladesh. So every drop of success I had was because I’m from Bangladesh. So I think I owe this to my people, they let me have this dream, enjoy my life, they made me happy! And it took me 25 years to come back and make my dream come true. I cannot explain how many people can’t make their dreams come true. I want to help my people, who let my dream to become a reality, make their dream possible too. It’s so hard but I will do this till the end! So could you briefly tell about Bibi Production? I came back in 1994 and I founded Bibi Production in 1995. When I used to go around Bangladesh and, I guess, media reported that I came back and people were talking about me. They used to think that good things can happen only to rich people but I wanted to show that a person from poor community could also have a future. In my office there are 25 people and none of us have a car, I sold mine and now I’m using my mother’s, and we still can do things. Bibi Production is not for my family, although they love working here, it’s for ordinary people. I tell Bangladesh people that you can have it all but you have to work for your money and your life! You have to go step by step. So Bibi Production is working for positivity. We want to help village people to come out of poverty with the respect for humanity, for their people. Village people can come to my office and be treated like a VIP. We believe in women empowerment and that they can compete with men. But not in a way that ‘I’m a woman and you have to lie a red carpet for that’. We encourage compete with each other in the work we do. Working for your culture revival, especially the weaver tradition, is part of your goal. What does it mean to you? Why is it important? Actually, if you read Bangladesh history you would know that during British period we were famous for producing muslin fabric. 1 meter of muslin could easily fit in a matchbox. And it’s know that we could already do it in 13th century, so why Bangladesh people are below poverty today when they should be doing very well. The World now is going eco and nature-friendly and I work only with natural fabrics. And all the work is handmade. I believe in Bangladesh people, in their sustainable income, in the education that comes with it. Education is a backbone of this country. In a long run, I want to help people get educated and I try to teach them that if you earn money, send your children to school. It’s very important. How do you see Bangladesh now? After quite some time you have worked there? It has changed a little. Still it’s first steps. Bangladesh is a small country but there live 116 million people and even though I work day and night I still need a lot of resources and money to do a big change. But it’s changing little by little. “Fashion for Development is a back to your roots idea” is the quote from I was sent by your assistant. I love the idea that fashion that is such an industry all over the world, always going forward, suddenly makes one look back where he or she came from. Why is it important to use fashion for tracing back your origins? It started in 1996, when I was invited to UNESCO headquarters. It was run by Federico Mayor at that time. I always believed that fashion is a social factor. Fashion is not about what brand you wear or how much money you spent on a piece of cloth. Fashion for me is culture and a necessity. Clothes are your pride and social and economic identity. I can stay without eating for three days but if I walk around naked for a few minutes I will be put in jail. That is why, I make fashion for everyone. Countries like Bangladesh, India, or those in Africa or South America – we have an excellent history doing things by hands. So why not to give support for them? Why we need to go to expensive organic shop when we have that. Is it just because we are from Bangladesh? Help people to come from their poverty with charity and dignity. 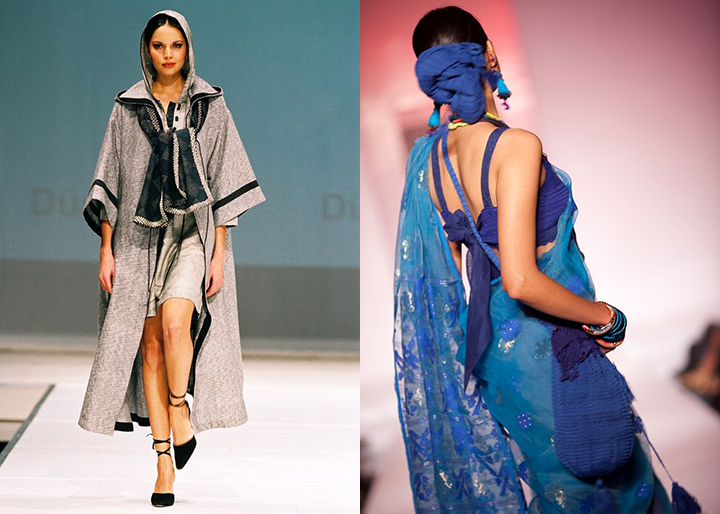 It seems that in Asia designers are more inspired by their own culture and traditions. 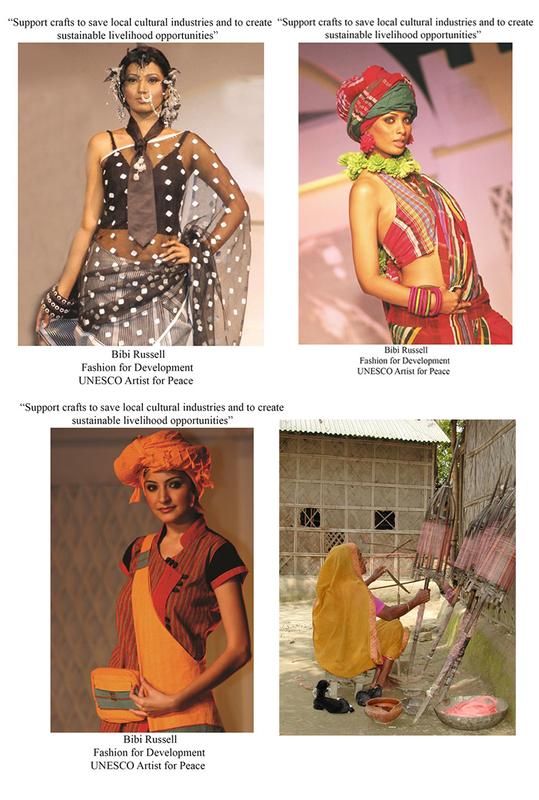 Their created garments and fashion are very close to their cultural background but in the West designers tend to ignore it and seek inspiration in countries like Bangladesh. Why do you think Asian designers value their cultural identity so much? Don’t you think that culture is most important thing for any person or any country in terms of development? In 1970 we fought with Pakistan for our culture. Pakistan is a very beautiful country but their language and culture is so different from our Bengal identity. So we fought for our culture. And look at your country! Without the culture there is no nation. Culture is a backbone for any country. 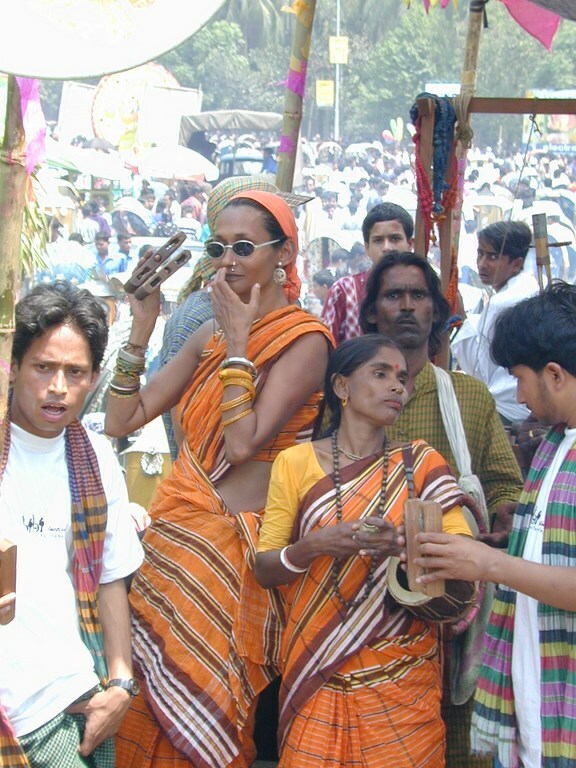 The Westerners also keep their culture. Look at France, Germany and other countries. Around the Christmas or the Easter culture is thriving. Your name is on the list of 10 women who changed the face of fashion. Where do you think fashion could change in the future? What is fashion lacking now? Fashion should be for everyone. You know, if you buy a diamond you might feel like you’re fashionable, but if I don’t have a diamond does it mean I’m not in fashion? But young generation is different now. You can push the button and you know about the world. And you don’t think about people in terms what colour their skin is. It is you, young generation that holds a future of fashion. How would you define yourself as a designer? What is the core of your design? And what is the purpose of the designing in general? Wherever I am – in Bangladesh, Africa or South America – my inspiration is people. They smile with their eyes and that inspires me a lot. I see wonderful colours and village people and when I create my design I think ‘God, everything comes from them’. I feel comfortable in champs elysees but nothing is more inspiring than those village people. 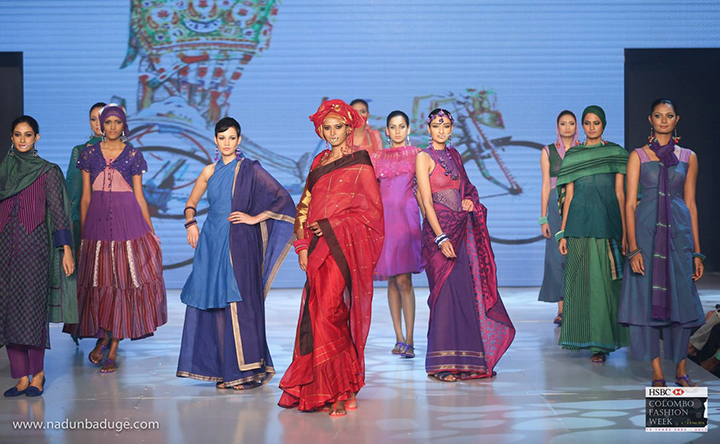 And when big fashion people ask me how I came up with the design, I say I saw two women with these inspiring colour. It all comes from people. They make me feel alive and understand that I can be content with little things. People are giving me something to look forward and for that I am giving 100% of myself. Every day I wake up looking for something amazing in people because I know that they are special. Everyone is! How does travelling and living abroad affect your work? 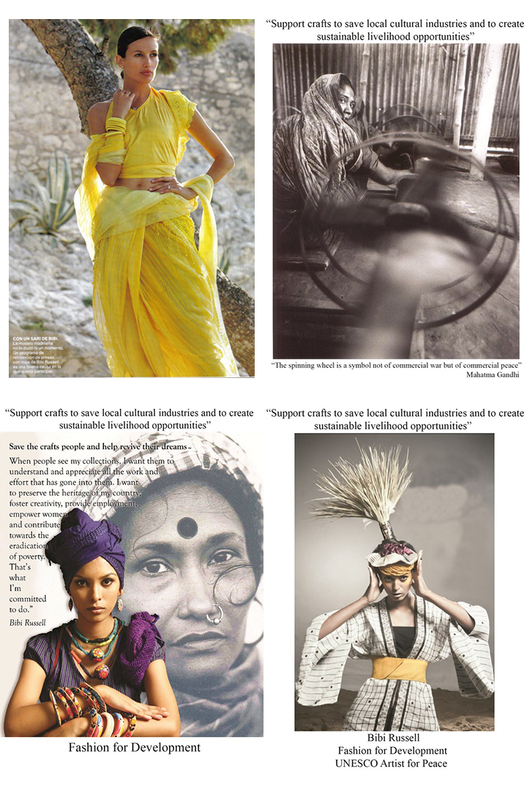 And how does Bangladesh culture affect your work? When I am traveling, I am opened to different culture, different language, different people and it makes me mature. I am trying to feel every country. I have learn a lot from my parents and they taught me to respect everyone. And make myself mature by learning from these countries. What are the biggest challenges you face as a designer? A lot of people know that I studied abroad but they don’t understand why I do only in handloom. But I did a lot of research and I know that if you know how to write, you don’t need the most expensive Mont Blanc pen, a simple pencil is enough. I went to a very good college and I’ve learnt a lot of things. But my goal is to work for say 3 hours and change person’s life. You are a well-known entrepreneur. Do you help other women seek their right position in the society? Do you face problems related to gender inequality? A message to Lithuanian women and fashion lovers. No matter where, I work I encourage local people. People in your country do such an amazing handwork, so just be confident. Think of your dignity and I believe Lithuanian woman can do whatever. They are part of this world. Poverty is not a disease that you can die from; I don’t know a magic way, only step-by-step working. If you work hard you can reach whatever you want. You can earn money with your craftsmanship! Oh, you don’t have to worry! My salute to you, women!